relaxing time at hot springs, and excursions to fantastic cultural highlights. In 2013, our special excursions take you to experience the best of the snow country in Akita, and to really immerse yourself in the ancient capitals of Japan in the Kansai region. Register before November 30, 2012 and mention Shizuoka Sake to get a special discount. Take this opportunity to enjoy the best of the snow country, Akita. making experience at a historic sake brewery; memorable private music performance; and more. 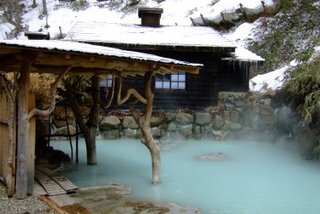 On the last day, simply relax at the rustic hot springs in the deep snow far away from the city. Experience Kansai through the lives of people who have devoted themselves to perfecting ancient traditions. Unlike regular tours, we will meet and discuss sake, food, pottery, and the art and culture of Buddhism with those who know it best. From our base in Kyoto, we will have day excursions in the city and out to neighboring Nara and Shiga. Explore historic small towns most people have never heard of! fire ceremony at a mountain temple. Suruga Brewery in Shizuoka City like some other breweries in Shizuoka Prefecture tends to come up with limited brews with very long names! 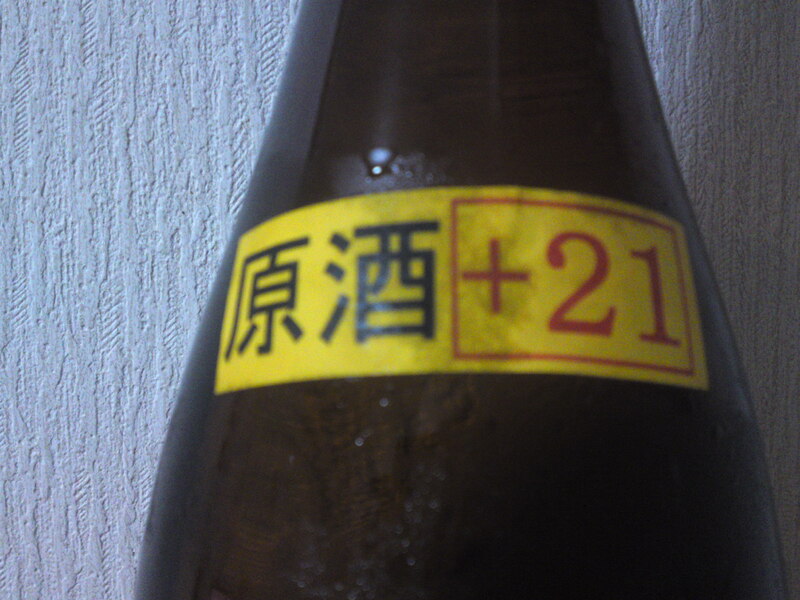 Tenko is the name of Suruga Brewery’s main brand. 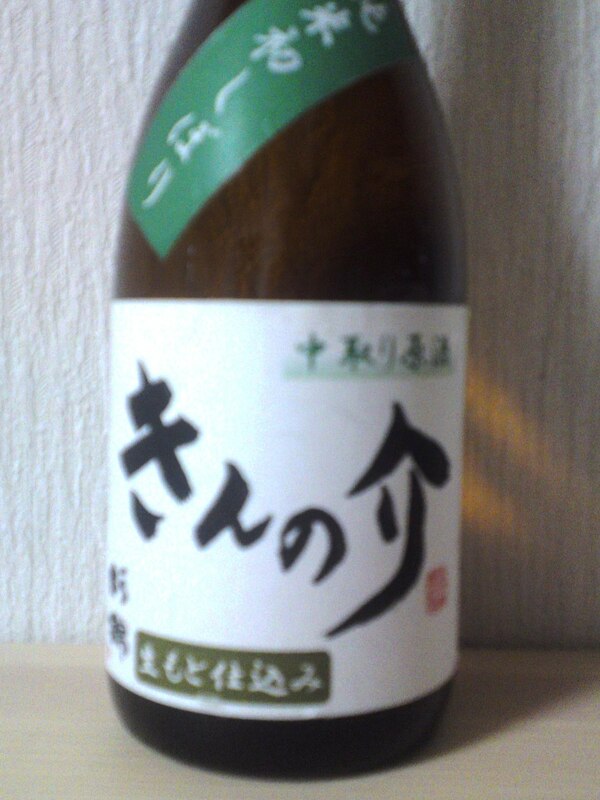 “Choo Karakuchi” means it is a very dry sake. “Natsu Ki Gentei” stands for “limited Summer Brew”. 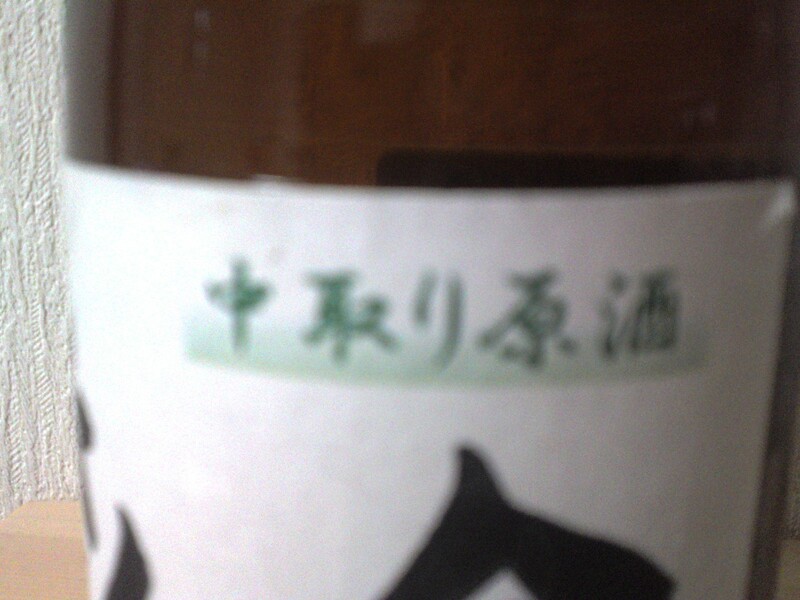 Now “Genshu” means a sake to which no pure water was not blended. 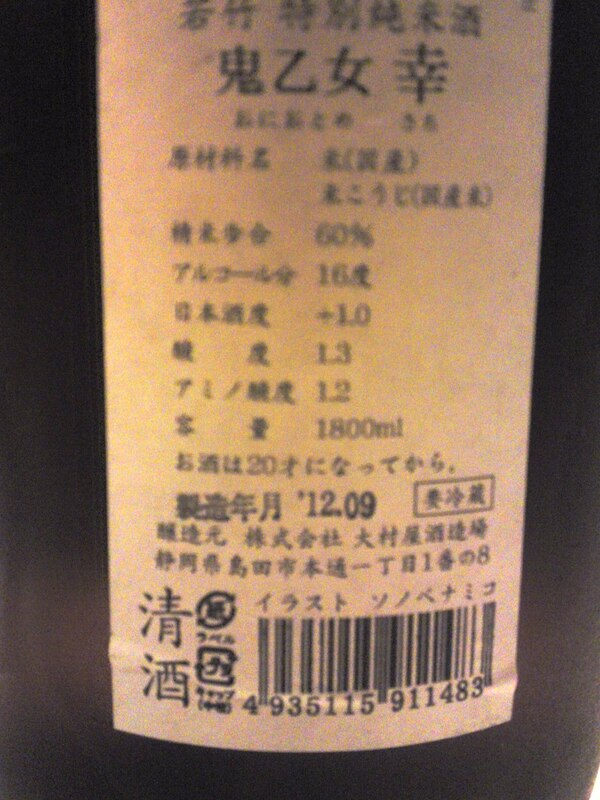 Since it is also a junmai, no pure rice alcohol was added either. “+21” stands for the dryness level. Taste: Strong attack backed up by puissant junmai p@etillant, very dry at first, then smooth and sirupy in spite of its dryness. Complex. Banana, almonds, macadamia nuts. Lingers for a short while with a lot of junmai petillant with almonds lurking on the palate. Changes very little with food. 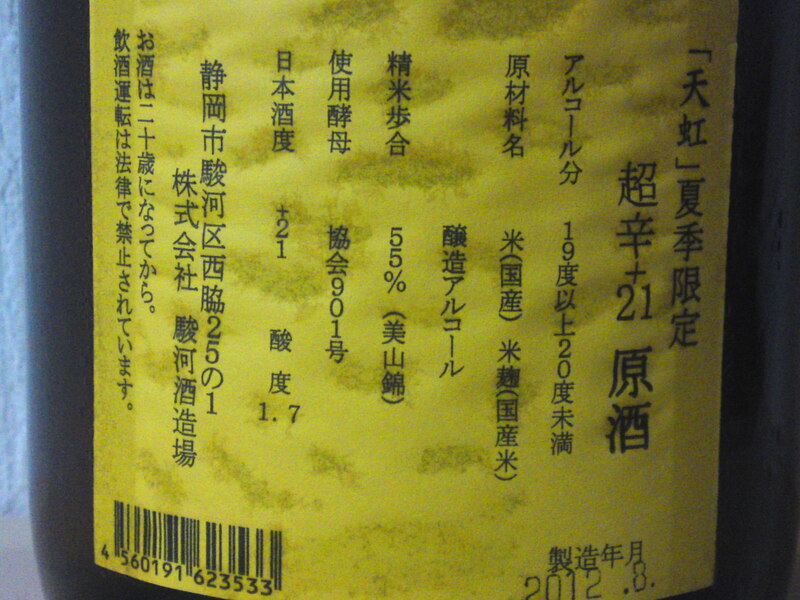 Overall: A very dry sake, indeed, although not as aggressive as expected thanks to its comlexity. Marries perfectly with any food, even sushi! Another sake I would take to nay house party or BBQ! 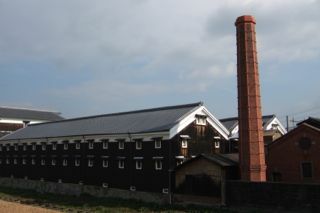 Oumuraya Brewery in Shimada City has been long famed for its “Oni Goroshi/Kill the Goblin” sake brand. This year they felt that Oni/Goblins should not be confined to males only! So they came with cute “Oni-Otome/Lady Goblin” series obciously to kill the sake lovers! This the thrid one actually, brown color atfer the previous pink and blue labes. A fourth white labl will appear next winter! Incidentally “Sahi” means “Dry” in this case! Lingers for a while getting even drier with pleasant alcohol warming up the back of the palate. Almonds, dark chocolate, macadamia nuts followed by drier almonds and faint coffee beans. For all its sweetish start as indicated + 1 level, the transition to dryness is very accentuated and lasting. Changes little with food. except with a little rise in sweetness with more coffee beans appearing. Drinks easily with any food. Tends to become more complex just after food with new facets. 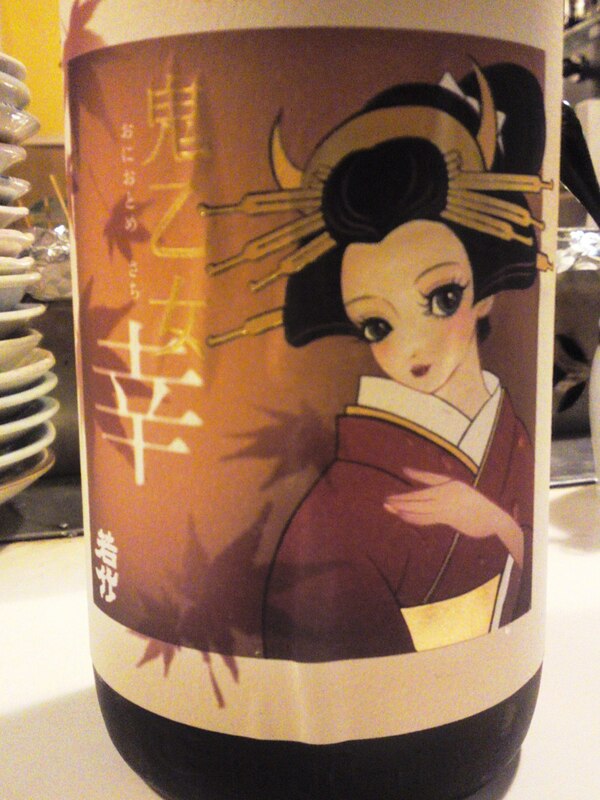 Overall: A great sake to enjoy with any food, especially izakaya gastronomy. Very pleasurable on its own. Another sake fit for any food or party. And that label is so cute! Kill me with love and sake! Sugii Brewery in Fujieda City makes nectars not only famous all over Japan but also comes with very detailed titles for them! 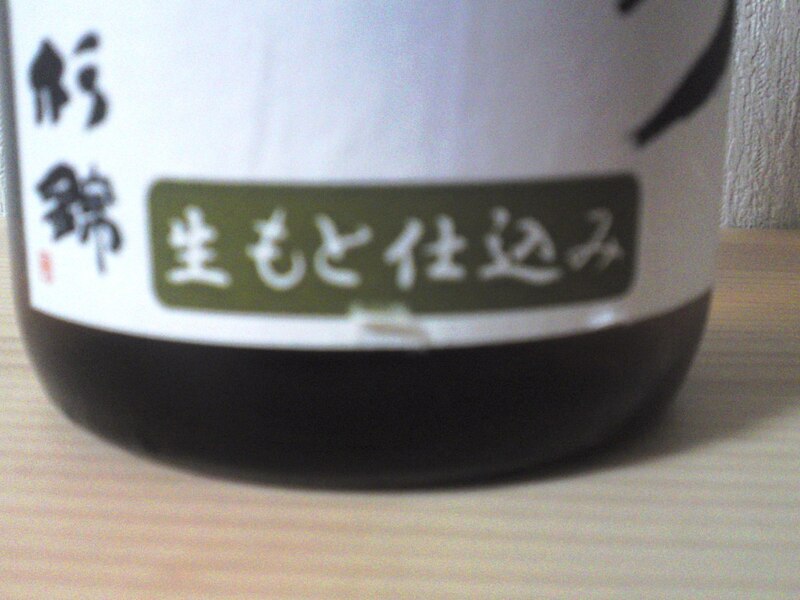 Kin no Suke/きんの介 is the name of that particular series of sake. 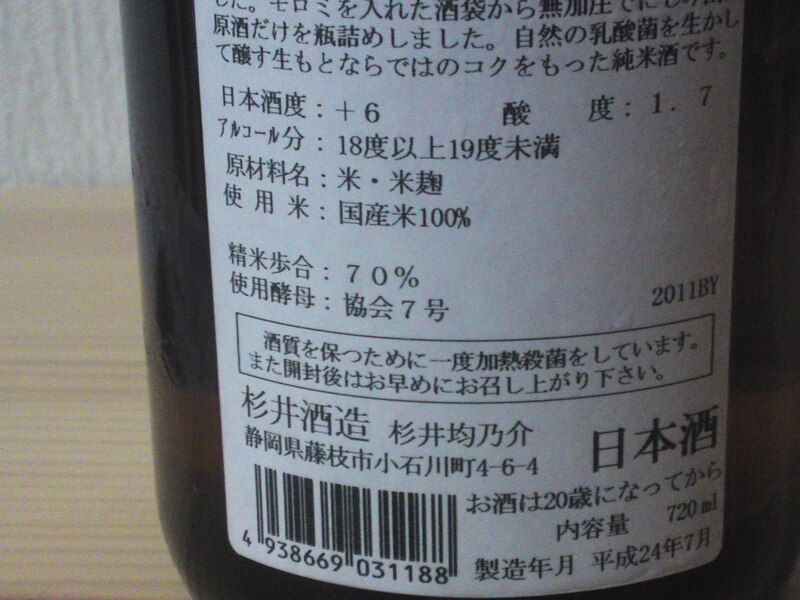 Junmai/純米 means no pure sake alcohol was blended in. Nakatori/中取り means only the sake in the middle of the pressing was used. 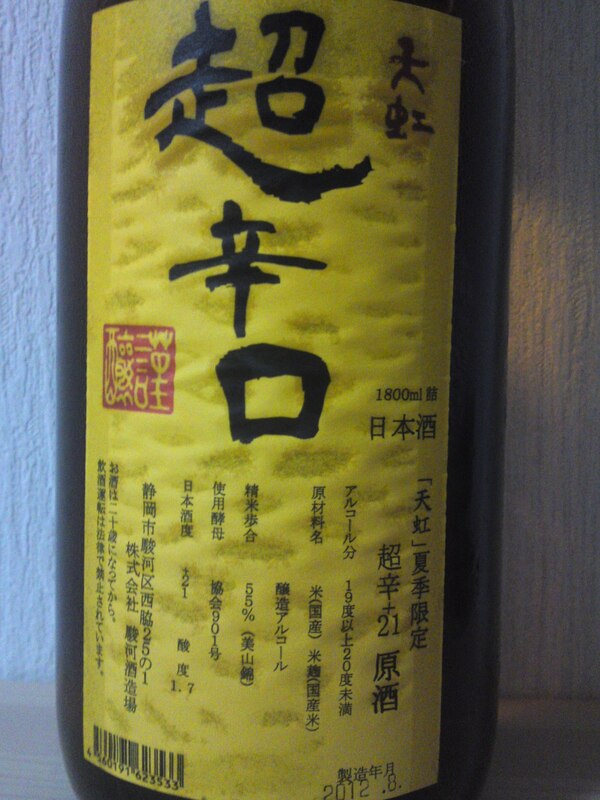 Genshu/原酒 means that there was no pure water added to lower the alcohol level. Kimoto Shikomi/生もと仕込み basically means that the whole process was done the traditional natural way. Aroma: Strong attack backed with pleasant alcohol. Fruity: Banana, vanilla. Taste: Very dry soft attack in spite of strong and pleasant alcohol. Varies little and stays dry with food. Dark chocolate appears later. Very reminiscent of sake I used to drink a very long time ago. Turns sweetish with vinegared foods. Dark chocolate and coffee beans appear with salty foods. Overall: Another sake obviously conceived to enjoy food! Although varies little with food, tends to show some very interesting facets depending on the dish. Definitely takes on a sweeter note for a while just away from food. Both straightforward and complex, a sake to enjoy with izakaya gastronomy!